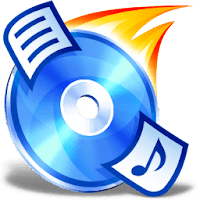 CDBurnerXP is a freeware application to burn CDs and DVDs, including Blu-Ray and HD-DVDs. It supports burning data on CD-R, CD-RW, DVD-R, DVD-RW, DVD+R, DVD+RW, Blu-ray Disc and HD DVD as well as burning audio-CDs with or without gaps between tracks. CDBurnerXP also includes the feature to burn and create ISOs, along with UDF and/or ISO-9660 formats. Burn all kinds of discs. Audio-CDs with or without gaps between tracks. Disclaimer: Direct downloads for the lastest version of CDBurnerXP 4.5.7.6623 are provided by the official software's author, we can't guarantee safety, availability or download speed. Moreover, we don't and we won't provide any pirated/illegal versions or tools. We recommend you to avoid it as these methods can harm your device. If you like the software, buy it to support the developers. (We provide software discounts for many worldwide brands).